You may have to take my word for it, but in real life I have a sense of humor. Not one as reliable or uproarious as I’d like, but I ocassionally make others laugh, or, failing that, I laugh at stories, absurdities, clever turns of phrase. Laughter is a survival skill I appreciate, but I doubt any reader of this blog comes here for yucks. Writing to be funny is a challenge I shirk. Oh, I try occasionally (I’ve tried more than once) and hope someone might laugh or smile at some point in nearly everything I write. But, with laughter, it’s so much easier when you sense live results. In the absence of a reaction, you fall into can’t-miss anecdotes or resort to formulae to entrap readers. Funny episodes, images, verbal combinations, and crazy lists occur to me, but, as I write them, my sails slacken. It all sounds artificial, contrived. Once I strain for a laugh, I lose will. I can’t tell you how many half-written, not-so-funny pieces I’ve spared you. 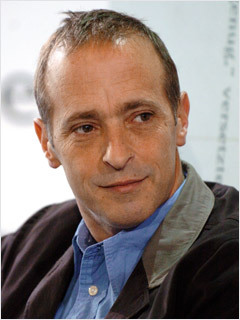 I’ve gone to see David Sedaris read a couple of times, and I’m continually amazed at the consistency of his work. He seems to have a nearly infallible sense of the comedic. Having the name “humorist,” Sedaris leads loyal readers to expect snorting, chuckling, guffawing even. While that expectation could be the worst sort of imprisonment for me, he ranges over all sorts of subjects, ambushing readers and listeners though they suspect what’s coming. To be truly funny, I think, is to do more than surprise. In fact, writing humorously often means surpassing rather than violating expectations. The comedian Bob Hope, now long gone, kept a small and shifting stable of joke writers, and no one’s job was ever secure. They met together to pitch their best stuff, and when you came to this meeting with Mr. Hope, he only accepted jokes that made the other writers laugh… which meant those jokes made people laugh even when laughing at someone else might mean an end to your own employment. In contrast, when I listen to comedians now or watch a comedy, I’m sometimes confused. Am I laughing because it’s genuinely funny or because the subject matter is shockingly out of bounds? Is what I’m hearing and seeing really funny or something so bizarre only laughter answers it? The two aren’t at all the same thing. As Hope’s mad method suggests, something is really funny only when you laugh despite yourself. Does laughing out of discomfort or embarrassment even count? Funny is a cruel taskmaster. Sedaris’ early work contained odd turns into illuminating or even instructive territory, but I don’t see nearly so many of those interludes now. I wonder if sincerity seems glib or cliché to him, whether he worries any surprise of that sort would be the wrong sort. When he tries to be poignant, he could seem ironic or, worse, simply false. Perhaps it’s sour grapes, but I’m not sure I’d want t0 be Sedaris. I like the freedom to write what occurs to me, whether it’s happy, sad, funny, or just plain strange. Establish yourself as a comedian and suddenly the disassociative associative style that once seemed fresh can come across as meandering, lazy, being you, doing what you do. Perhaps that explains why the half-lives of comic actors are shorter than dramatic actors. They play themselves out—we seem to want them to—or they turn, often unsuccessfully, to serious or mixed roles. If they can be more than the usual clown, they continue. The hardest task is to be taken seriously, to make us cry or make us care and make us laugh. Failing that, they’re gone. All writing is magical, but funny writing particularly so. A writer can dazzle readers, as Sedaris has, with the escalating quirkiness and unpredictability of his actions and observations, but continuing success requires even more. It requires reinventing the way you write to attain the poignancy of Mark Twain or Kurt Vonnegut, producing effects that transcend pure humor or joke-telling. Every writer is finite—housed by his or her idiosyncratic perspective and approach—but what do you do when you’ve overmined your life and find yourself sitting on a block of swiss cheese? All writers must worry what they will do when they run out of material, but funny ones have it hardest. Maybe this blog post is all just an elaborate excuse—Dear Reader, I do wish I could make you laugh more, I really do—but I’m happier not raising your expectations. I’d rather be myself (whether that means being funny or not) and pray you hear something more genuine in my voice than wanting a laugh.